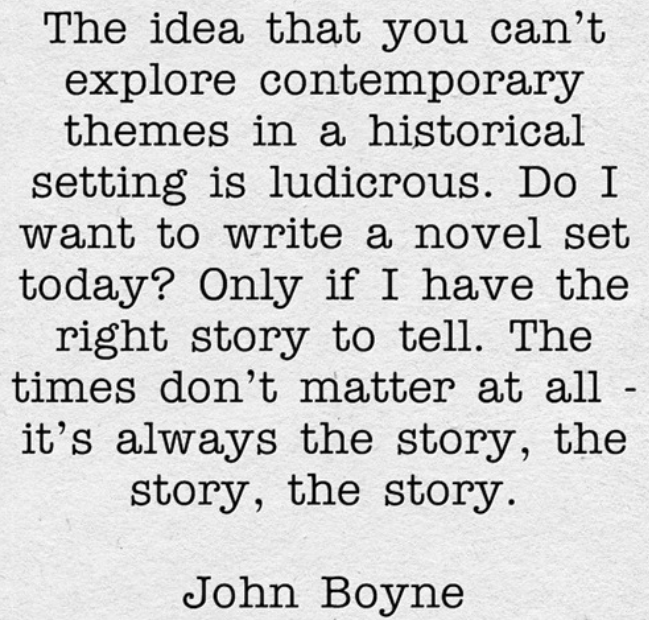 John Boyne (born 30 April 1971) is an Irish novelist. He is the author of nine novels for adults and four novels for younger readers including The Boy In The Striped Pyjamas which was a New York Times no.1 Bestseller and was made into a Miramax feature film. It has sold more than 6 million copies worldwide. His novels are published in 48 languages. Boyne is also a regular book reviewer for The Irish Times and has been a judge for both the Hennessy Literary Awards and the International IMPAC Dublin Literary Award. Boyne was born in Dublin, where he still lives. His first short story was published by the Sunday Tribune and in 1993 was shortlisted for a Hennessy Literary Award. In 2012, Boyne was awarded the Hennessy Literary ‘Hall of Fame’ Award for his body of work. Boyne has also won 3 Irish Book Awards, for Children’s Book of the Year, People’s Choice Book of the Year and Short Story of the Year. John Boyne grew up gay in Catholic Dublin. If you read nothing else today please read this article in the guardian in which Boyne after years of silence, gives an honest and heartfelt insight of what it is like to be a young, gay teenager, embedded in the Catholic Church life and community. He also tells of his new novel were he found the strength to write not of the Catholic preist whom he hated and feared but the one who is the genuine preist that has given his life to doing good, but has found himself betrayed by the institution. A History of Loneliness sounds like an incredible read from the man who brought the world The Boy In The Striped Pyjamas.